"You know that feeling? When you want something so badly, you almost feel you'd kill for it?" From the USA Today bestselling author of The Sister and The Gift, this is an unputdownable psychological thriller which asks how far we will go to create our perfect family. 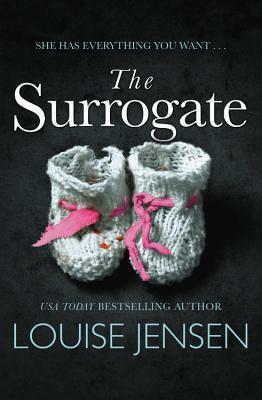 My thoughts: This is the second book I've read by Louise Jensen and the second time I have been floored by the crazy twists she comes up with in her psychological thrillers...she certainly knows how to craft tense, engaging stories that you just cannot put down until you reach the end. 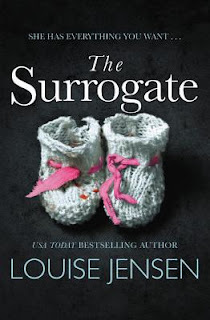 This book took on an emotional hook for me, being that it deals with surrogacy, and of course having dealt with infertility myself, I am always sensitive to these issues, but it never got too heavy for me. Rather, the book deals with secrets - hidden secrets - and that becomes the basis for the entire story. This book kept me guessing as to what was really going on and whether there were any ulterior motivations at play - and believe me, as soon as you meet all the players, you can't help but start second guessing what's behind everyone's actions. The story moves back and forth in time and I really felt that every time we learned more about each of the characters, I was left with more questions than answers. Everyone, and I mean each and every character, is so complex, that you can't help but wonder what is really going on with them and whether they could really be trusted. And what's even more remarkable is that these are characters that aren't even all the likable...some are, but most aren't. This book starts off with a sense of dread and that sense stays with you all the way through. It kept me on my toes and scratching my head as I tried to guess where it was heading...and I certainly did not see that ending coming! 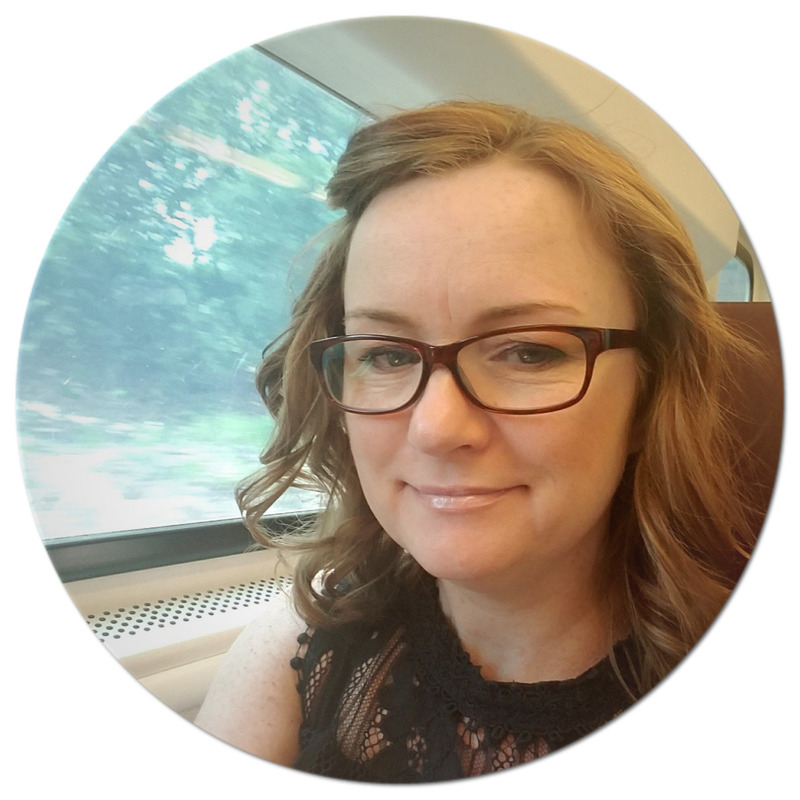 This is one author who I love to read and I cannot recommend enough! 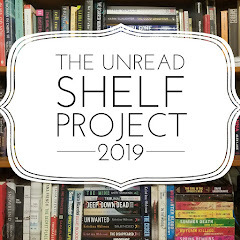 *If you think this is a book you'd like to read...be sure to check out the #BookGiveaway (ends 12.10.18) - there are 2 chances to win! I tried to track this down! Failed. So I am glad I got to read your review.